2Lt Lon E. Jackman, Jr. (CP)(KIA) - Assigned to 427th BS on 27 October as a Member of the Lt Robert W. Sheets Crew. Flew five missions with the Sheets crew (#82,85,86,88 & 89). Buried in The Netherlands American Cemetery, Margraten, Netherlands. (POW/KIA) - On mission #90, 20 December 1943 to Bremen, Germany in B-17G #42-39764 Santa Ana (360BS) PU-B. 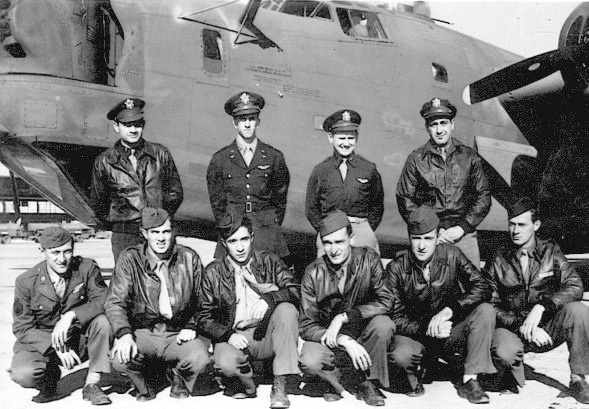 The crew, except for 2Lt Jackman and 2Lt Goldschmidt was on their first combat mission. Anti-aircraft fire knocked out one engine and a subsequent fighter attack resulted in the crew bailing out and their B-17 crashing near Bremen, Germany. Sgts Newcomb and Hall were badly wounded and were repatriated after their capture. Sgt Brown was wounded, captured and sent to Sandbostal Hospital. 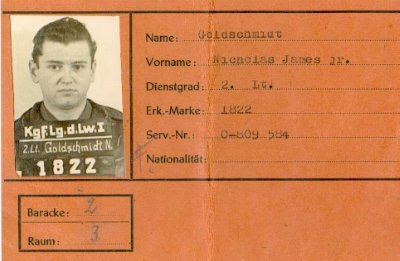 He stayed there until about May 1944 at which time he was sent to Luft IV in Tychow, Poland. He remained at Luft IV until January 1945. Sgt Brown was then sent by train, to Luft I at Barth, Germany and was liberated in May 1945 by the Russian Army.